Temporary anchorage devices (TADs). Orthodontists sometimes wish to isolate the teeth to be moved from nearby teeth that shouldn’t be. For example, they may want to move front teeth back to close a space without the back teeth moving forward. In this case, it may be necessary to create a separate anchorage point in the jaw. This can be done with TADs, which are made of either biotolerant (stainless steel, chromium–cobalt alloy), bioinert (titanium, carbon), or bioactive (hydroxyapatite, ceramic oxidized aluminum) materials and shaped like mini-screws. 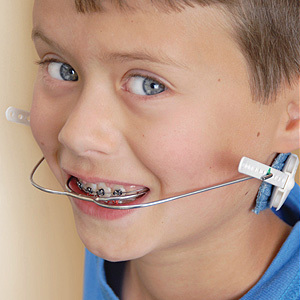 Orthodontists insert them into the bone and then attach them to the braces using elastics (rubber bands). After completing orthodontic treatment they’re easily removed.